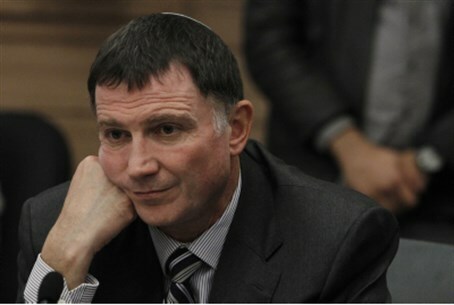 MK Edelstein says preventing MKs from visiting the Temple Mount is a "very grave" matter. Knesset Speaker MK Yuli Edelstein stated Wednesday that the present state of affairs, in which MKs are prevented from visiting the Temple Mount, is a "very grave" matter, which he hopes will be solved in a year's time. In a Facebook post devoted to Jerusalem Day, Edelstein wrote: "In the last few weeks, the rights of prayer at the Kotel, the Remainder of our Temple, as well as the right of Jews to ascend to the Temple Mount and pray there, have been placed on the Knesset's agenda. "The Temple, as is known, was a place of prayer for all nations. "The state of Israel is almost the only one, throughout the history of Jerusalem, which allows free access to all places of worship, which are sacred to all nations, out of respect. "Our belief in our right over the Land does not detract from our commitment to Israel's Arab and Christian citizens, and to believers in other religions. "However, we must not limit the Jews, of all people, from access to the places of worship they hold dear to their hearts. "I hope that the initiative of our friend, Jewish Agency Chairman Natan Sharansky, for establishment of an egalitarian site for worship, at the Kotel Plaza, will materialize. It is specifically out of consciousness of Jerusalem's central role in shaping Jewish identity that we must allow Reform, Conservative and other Jews to pray in accordance with their beliefs, while maintaining the Kotel as a holy place. "At the same time, I see with gravity, the curtailing of the immunity of Knesset Members, and preventing this or another MK from implementing his right to ascend the Mount. "In the discussion with the police's top echelon I made clear that it is unthinkable that decisions that impinge on MKs' immunity are made without the presence of, or consultation with, Knesset representatives. "I understand that sometimes, one needs to take into account considerations of the public peace. I do not see such considerations as making us less sovereign on the Temple Mount (On the contrary, I see those who complain day and night of our lack of sovereignty as weakening our consciousness, and creating a reality that is the opposite of the one they want). But I will not give up on the right of MKs to ascend the Mount. "I hope that by the time of the celebration of 47 years since the unification of Jerusalem, next year, we will find a formula that allows MKs to visit the Tempe Mount without harming the public peace."